Google has produced a wide range of helpful software tools over the years. 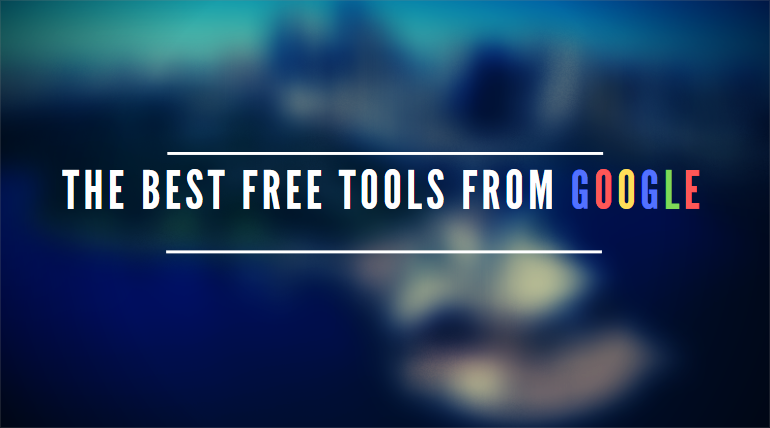 Here are the best free tools that Google produces, and you can download and use them all for free. Google Chrome has rapidly become one of the most popular web browsers in the world. Taking over from Internet Explorer and Mozilla Firefox a few years ago. It’s clean non-nonsense look and wide array of utility and extensions make it both easy to use and simple to customise. If you’re a user of Internet Explorer but still want the functionality of Google Chrome then, The Google Toolbar for Internet Explorer provides quick assess to a range of Google’s services including a quick search, Gmail and image search too. You can download the Google Toolbar on Google’s website. Google’s Share X is a powerful screenshot tool that allows you to capture and share your screenshots with a wide range of platforms. It’s got a range of options while still remaining light-weight and easy to use, making it ideal for collaborations and quality sharing images. You can download Share X on its website. Google Maps is the famous web-based service that provides everyone with detailed geographical information for places all around the world. This includes aerial and satellite views and even a street view of major towns and cities across the world. The cloud stores your data in remote servers and allows you to access it by entering an account name and password. This is excellent for both security and safety, while also ensuring that your data never gets lost.